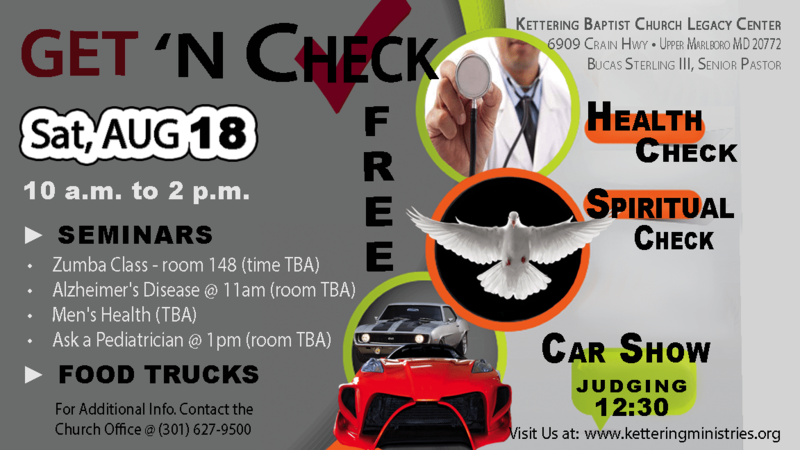 This year’s Get ‘n Check will be held on Saturday, August 18th from 10am to 2pm. This is a church-wide evangelistic outreach where every member can participate. In addition to spiritual and health checks, health seminars, and food trucks, we will have a car show! That’s right, everything from imports to hot rods to exotic cars will be on showcase. Please invite your family and friends!